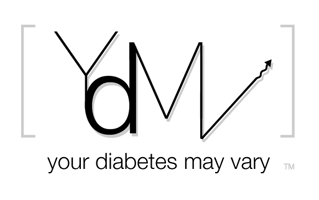 Your Diabetes May Vary: I am not Nature Boy - but.. I'm with ya. I love my ping but the packaging.....still sitting on my table. I've yet to figure out the best way to recycle. Hope it works well for the boy. We also love our Ping. With a three-year-old diabetic, the remote is like a little miracle. I wonder if the packaging is some sort of psychological thing... we paid so much (and worked so hard with our insurance) to get this thing, perhaps the company thinks that we need it to feel 'substantial' when it arrives? I must admit... it did feel a bit like Christmas when we opened it up, so maybe there's something to that. "I wonder if the packaging is some sort of psychological thing... it did feel a bit like Christmas when we opened it up, so maybe there's something to that." Maybe and wonder no more. You are talking about the "out of box experiance." Saddly this apparently doesn't consider the amount of cardboard used to create the "experiance." Extras? Most of our extras were packing. Glad yours traveled light.